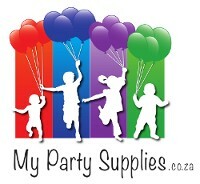 Party supplies in a range of colours, including tablecloths, serviettes, cups, party boxes, paper plates, lanterns and more. Plain (non-themed) Party Supplies There are no products in this category. Add some colour to your party! Choose from our fabulous range of plain tableware and party supplies to add that splash of colour and fun to your party. These neon colour plates, cups, serviettes and tablecloths will go perfectly with your neon themed party. Neon party supplies to brighten up your party.